So the 46-year-old felt vindicated—and relieved—when he discovered an outlet for the handmade treasures he feared he’d have to trash. The place? Community Forklift, of course. He first stumbled upon the Forklift last summer when his fiancée needed building supplies to update her kitchen in Takoma Park. An online search guided them to the Edmonston warehouse, where Piscopo was bedazzled by the expansive inventory and the possibility of a long-term, give-and-take relationship. By September, the Forklift had arranged to send a truck to Frederick to pick up not only the artwork but also 1,000 pounds of glass tiles and 1,500 pounds of glass gems. Nancy Meyer, Community Forklift’s chief executive officer, makes sure John Gray receives the right paperwork for a donation made by Wholesalers USA Inc. Connecting Piscopo and his ilk with the Forklift isn’t just a haphazard occurrence, Meyer emphasizes. Instead of waiting for deliveries from donors already in the pipeline, the eight-year-old nonprofit is now ramping up its efforts to cultivate and maintain bonds with targeted industries unaware of the Forklift’s existence. These contractors, property managers, retailers and small businesses often see the landfill as the only option because they don’t have the time, space or energy for excess inventory. 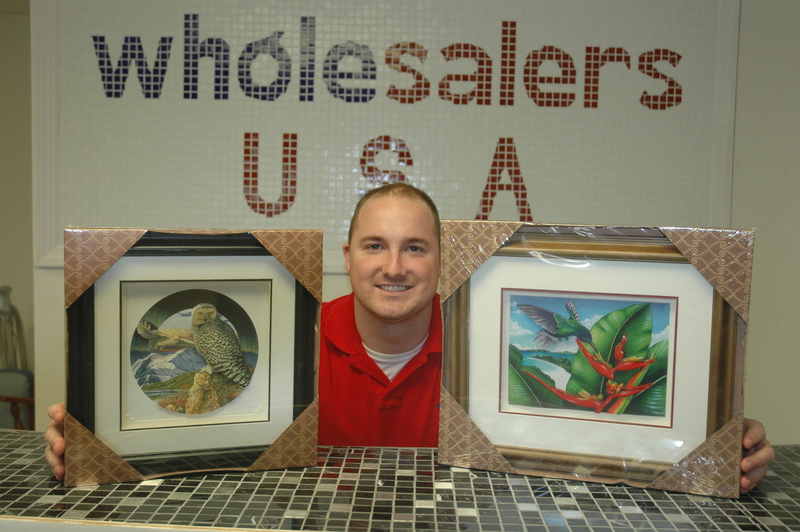 John Gray shows off samples of the handmade shadowbox artwork that Frederick, Md.-based Wholesalers USA Inc. donated to Community Forklift this autumn. Each piece includes an artist’s biography. The realization that customers couldn’t keep their hands off the gems—the small, shiny, polished pieces of tinted glass used for creating mosaics and murals—was an aha moment for the siblings. 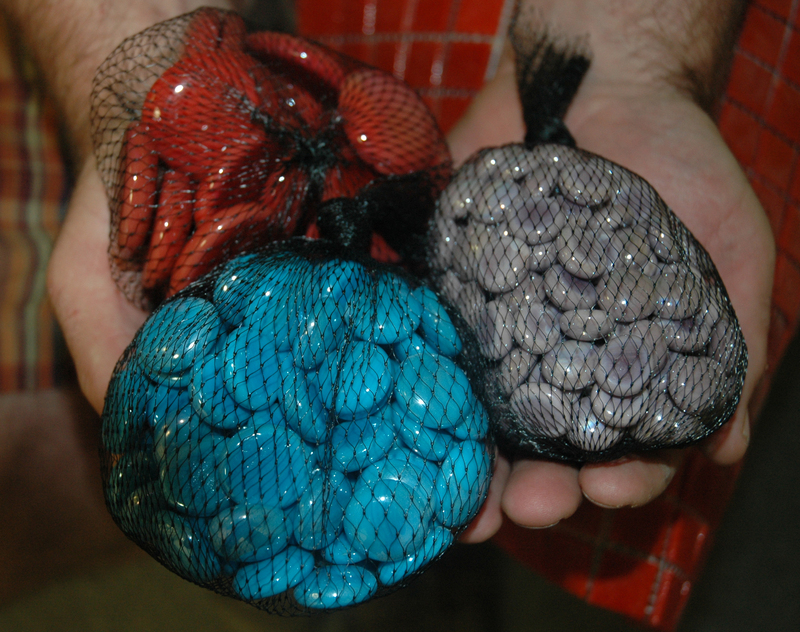 Once the brothers lasered in on glass gems and tiles, they made the commitment to move the company headquarters from a basement and shipping container in Rockville to a warehouse in Frederick at the end of 2005. Wholesalers USA now has six employees—and four of them are related. A portion of the 12,000 square feet of space is dedicated to an offspring venture, a limited liability corporation called Giorbello Elegant Tile Products. 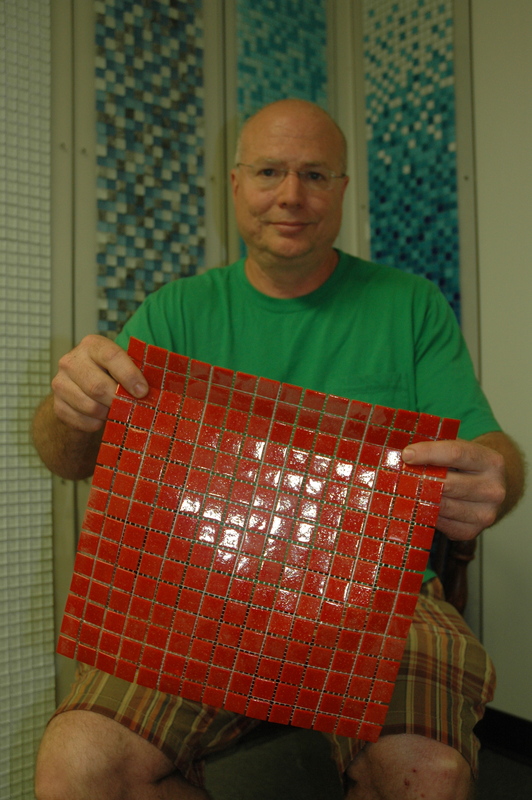 Gary and Mark’s nephew, John Gray, sells that brand of tile to retailers.